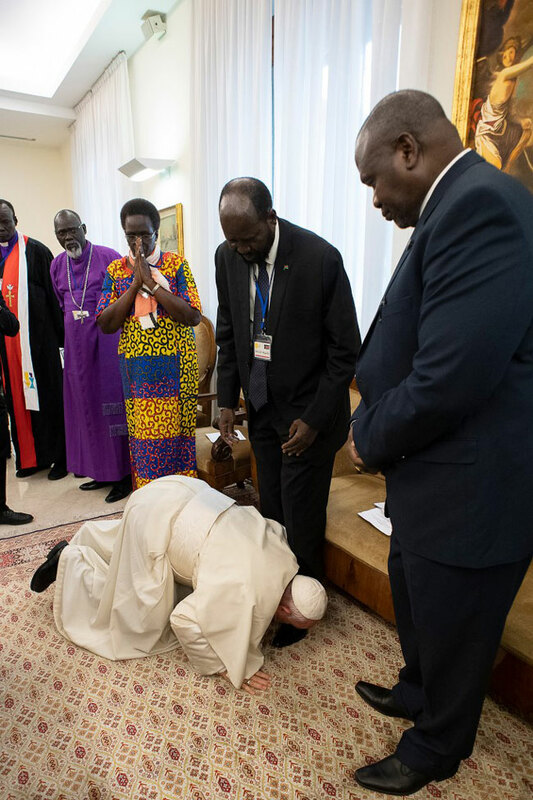 Onlookers were surprised on Thursday when Pope Francis knelt and kissed the feet of South Sudan’s rival leaders in an amazing act of humility aimed at promoting peace and to encourage unity among Africa countries torn by war. 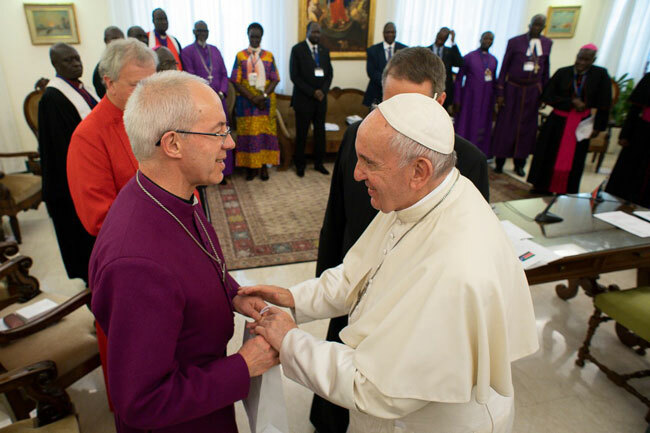 The Popes gesture came at the close of a two-day retreat in the Vatican for the African leaders. 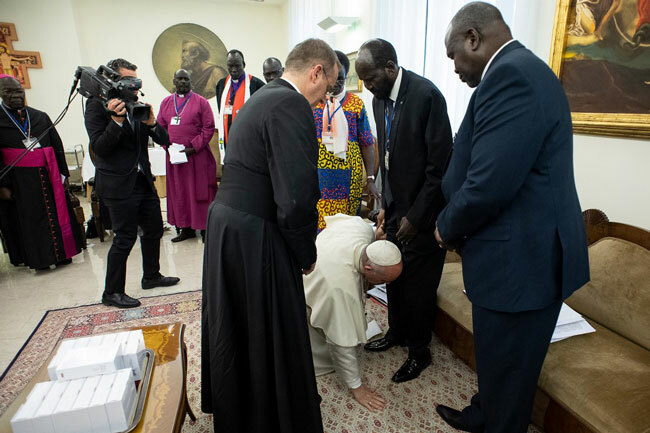 Pope Francis urged South Sudan’s President and opposition leader to proceed with the peace agreement despite growing tension in his country. 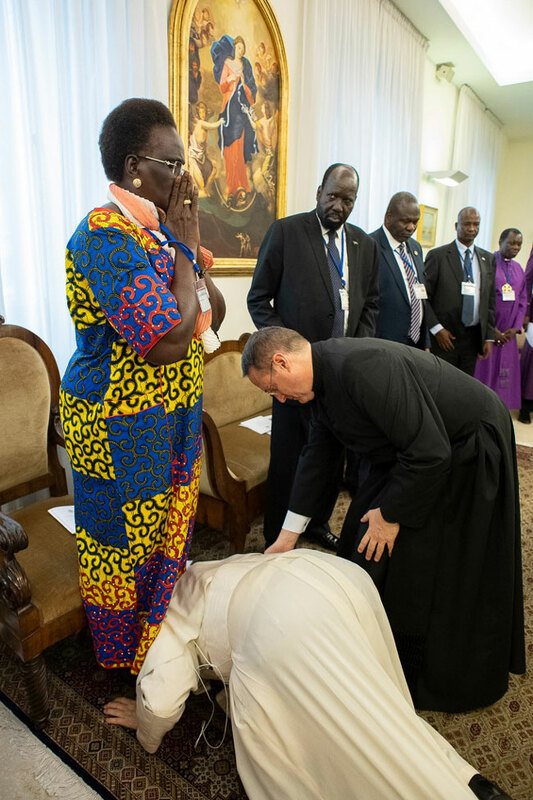 Those present observed with amazement as the Octagenarian Pope, who suffers from chronic leg pain, knelt with difficulty to kiss the shoes of the leaders and some other persons in the room. 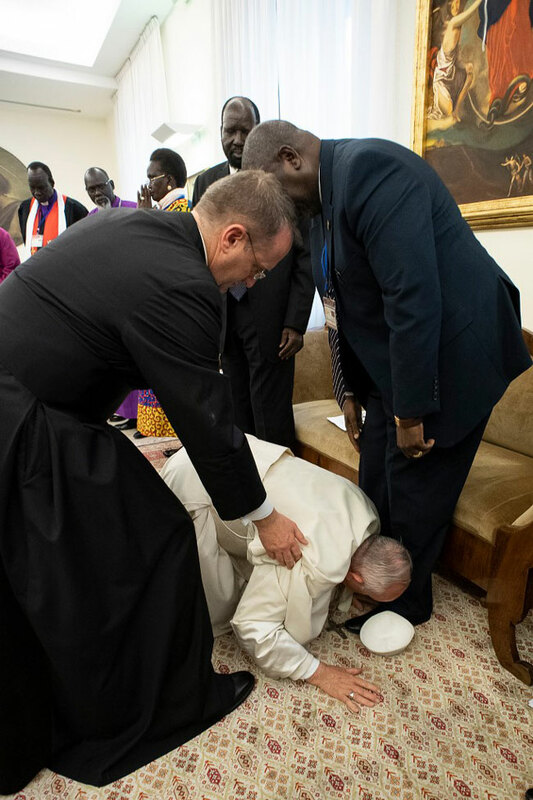 He was gently assisted by his aides.